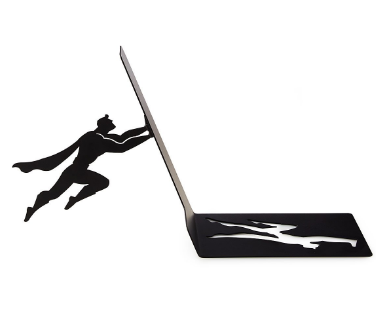 I like these "Hero Bookends" from Uncommon Goods. (There's a "Heroine" one, too, don't worry.) They're cute, eye-catching, and, at $25, they'd make reasonably priced gifts. I'd want to test the strength of the magnet first, though.